The big men of boxing made a comeback last year. 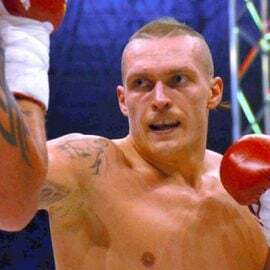 From Deontay Wilder’s WBC title-winning victory to Tyson Fury’s monumental upset of long-reigning RING champ Wladimir Klitschko, the heavyweight division recaptured the public’s attention with an influx of new blood in 2016. Enthusiasm for the heavyweight division was enhanced by a pair of entertaining scraps – Anthony Joshua’s seventh-round knockout of Dillian Whyte and Luis Ortiz’s seventh-round TKO of Bryant Jennings – at the end of 2015 and an early KO of the Year candidate with Wilder’s ninth-round one-hitter-quitter against Artur Szpilka last month. 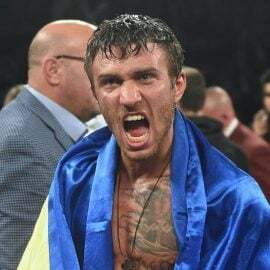 With this renewed interest in mind we thought it was a good time for a refresher on the standouts that helped make the heaviest weight class boxing’s “glamor division” in the form of all-time Top 20 list. 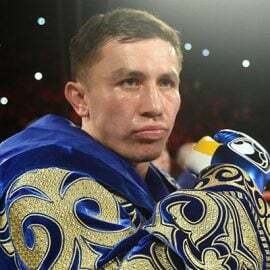 This particular list is penned by veteran PR ace Bill Caplan and is in no way an “official” all-time rankings by THE RING magazine (although RingTV.com editor Doug Fischer agrees with much of it). However, it should be noted that the view of Caplan, who turned 80 last year, is one that should be respected. After all, Caplan, who can match knowledge with the sport’s most respected historians, actually saw most of the fighters on his list fight live. He worked with many of them, too, most notably, George Foreman, so the Southern California sage had a ringside view during the heavyweight division’s “Golden Age” – the 1970s. But enough introduction, let’s get to the darn list! 1. Joe Louis. 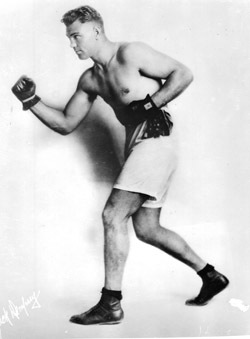 The Brown Bomber was the undisputed heavyweight champion for 11¾ years and met all comers. He was a magnificent boxer-puncher whose biggest loss was to the Internal Revenue Service. 2. Muhammad Ali. He reinvented himself over and over again. Beating Sonny Liston to win his first championship as a 7-to-1 underdog, defeating chief rival Joe Frazier two out of three times, stopping the undefeated George Foreman as a 4-to-1 underdog (to regain the title), outpointing Kenny Norton two out of three times and nearly everyone else during what was truly a “Golden Age of Heavyweights” (the 1960s and ’70s). 3. Larry Holmes. Ali’s former sparring partner dominated everyone except Michael Spinks during his seven-plus years as heavyweight champion (1978-’85). 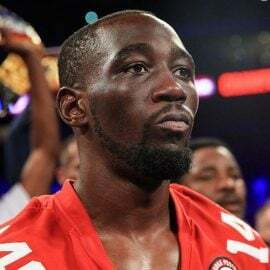 A boxer-puncher with a power jab and heavy right hand who was seldom in a bad fight, Holmes was his own worst enemy PR-wise; constantly spewing negativity with his “I’m never appreciated by you media people” rhetoric. Shut up, Larry, and allow us to appreciate you! 4. Rocky Marciano. “The Rock” is the only heavyweight champion to retire undefeated. Only 5-foot-10 and 185 pounds but was able to generate gigantic power. His best punches may have been to his opponents’ arms. They were so damaging that it was difficult, if not impossible, for his challengers to hold up their hands after that punishment. Rocky was unmatched when it came to the weeks he would spend in a remote training camp preparing for battle. No holidays, no birthday celebrations, his family wasn’t allowed to visit him in camp. 6. Joe Frazier. Smokin’ Joe won Olympic gold at the 1964 Games in Tokyo). His professional career was guided by a group of Philadelphia professional and business men called Cloverlay. Yancy Durham, his advisor-trainer, was highly respected. Joe is another who met all the great heavyweights of “the Golden Age” and beat them all except his nemesis, George Foreman. His 1971 fight with Ali was the most highly publicized fight of all time. Both champions were undefeated (both with legitimate claims to the biggest prize in sports). Frank Sinatra was at ringside shooting pictures for Life magazine. The closed circuit color commentator was Oscar winner Burt Lancaster. 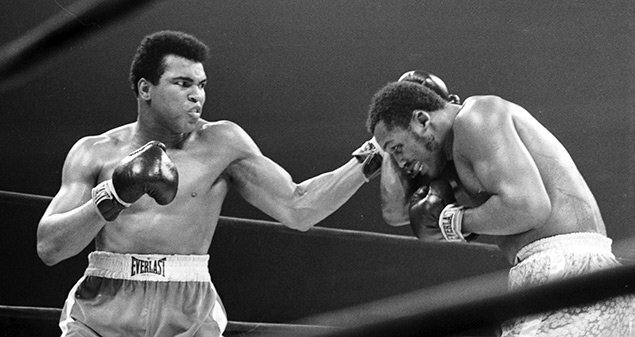 Frazier dropped Ali in the 15th round with his lethal left hook and won the decision. Ali won their second and third meetings. The last, “the Thrilla’ in Manila,” was thought by many to be the greatest heavyweight title fight of all time. It destroyed both men. 7. Lennox Lewis. Yet another Olympic gold medal winner (in 1988). He stopped future champ Riddick Bowe in the finals of the Seoul Games. Lewis, an athletic 6-foot-5, was a prototype for the “super heavyweight” era in boxing. With ties to England, Jamaica and Canada, Lewis settled in London for his championship career. His favorite sport for fun was chess. Lewis met and defeated all the top heavyweights of his era with the exception of Bowe, though often attempted, the match was never consummated. 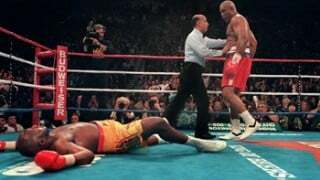 Lewis’ only two losses, at the fists of Hasim Rahman and Oliver McCall, were reversed via knockout victories. His final fight was with future champ Vitali Klitschko in June 2003 at Staples Center in Los Angeles. 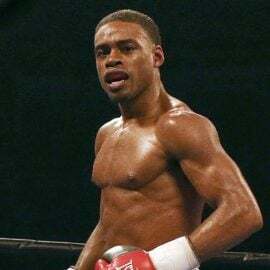 Lewis trailed on all scorecards in a wild fight that ended when the challenger, suffering a gushing eye cut, was TKO’d in six. Lennox retired champion, turning down many lucrative offers to continue. The handsome, soft spoken, intelligent Lewis did color commentary on HBO fights for a few years after his retirement and is often spotted ringside for big fights on both sides of the Pond. 8. Evander Holyfield. “The Real Deal” is the only man to win the heavyweight title four times. Competing as a light heavyweight in the 1984 Olympic Games in Los Angeles, he won all of the major cruiserweight titles as a pro before making heavyweight history. 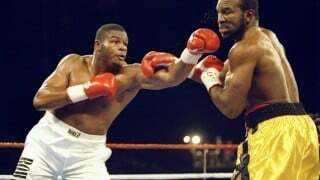 His most remembered victories were against Foreman in a record breaking pay-per-view match in Atlantic City in 1991, and his stoppage and DQ wins against Mike Tyson in ’96 and ’97. Evander was a 16-to-1 underdog in the first Tyson match and still a 2-to-1 short ender in the infamous “Bite Fight.” Thought to be undersized in the neighborhood of big heavyweights (Riddick Bowe outweighed the 205-pound Holyfield by at least 30 pounds in the first bout of their classic trilogy), the likeable Georgia native enjoyed one of the most lucrative careers in the history of boxing. 9. Gene Tunney. Who? You know, the man who went 2-0 against the great Jack Dempsey way back in 1926 and ’27. He was the first athlete to receive a million-dollar purse in their second meeting. 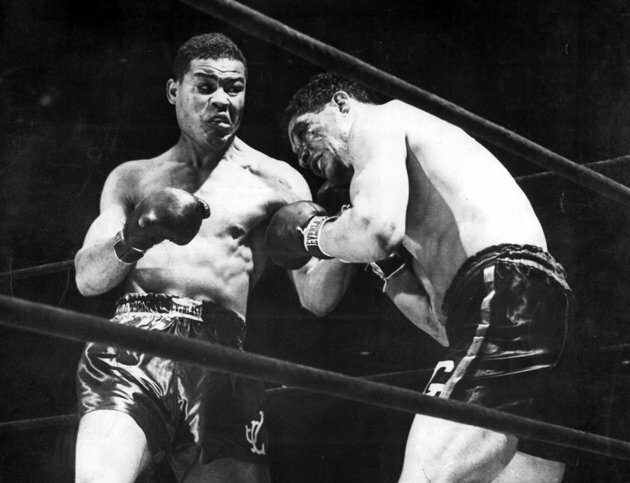 A classic boxer, Tunney used his fertile Shakespearian-reading brain to outfox the hard-punching Dempsey. His only loss was a 15-round decision to all-time great middleweight champ Harry Greb in a light heavyweight bout earlier in his career. Tunney beat Greb in the rematch and rubber match. His son John became a United States Senator from California. 10. Jack Dempsey. The super popular champion known as “The Manassa Mauler” changed the style of his sport with his bob-and-weaving, body punching attack. Most fighters of his era stood straight up and were head hunters. He won the title by chopping down the huge, 6-foot-6 “Pottawatomie Giant” Jess Willard, who weighed 245 pounds to 5-foot-11 Dempsey’s 187 pounds. The outdoor fight in Toledo, Ohio, was on the 4th of July, 1919, and it was reported to be 110 degrees at ringside. Dempsey gave Willard one of the worst beatings ever seen in a championship bout and the former champ was unable to leave his corner for the fourth round. Willard suffered broken ribs, a broken jaw and lost four teeth but was called “a coward and a quitter” for retiring in his corner. 11. Charles “Sonny” Liston. A heavy punching brutish bomber who took the title from Floyd Patterson by first-round knockout. 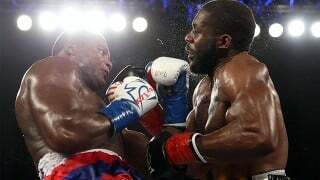 He proved it was no fluke by starching Floyd again in the opening round of their rematch. His jab was a power punch and his right cross was deadly. His awesome presence seemed unbeatable until brash Cassius Clay burst the bubble in their Miami confrontation and again in a Lewiston, Maine high school gymnasium. 12. Ken Norton. Kenny made the list because he fought the Greatest, Ali, three times, broke the Louisville Lip’s jaw and won the decision in their first fight in San Diego. He lost two very close decisions at the Inglewood Forum and Yankee Stadium. Hall of Fame promoter Don “War-a-Week” Chargin mused, “You could have raised Norton’s hand all three times. His style confused Ali.” Norton fought an epic 15-round war with Larry Holmes and met most of the Golden Age heavyweights. In high school, this superb athlete starred in football, basketball, baseball and track. 14. 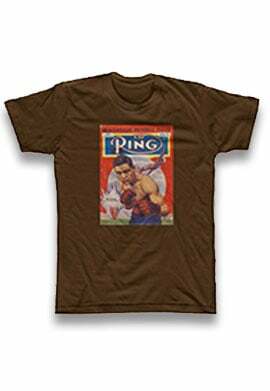 Jersey Joe Walcott. A hard-punching, relentless stalker with a shuffling style. Many thought he beat our number one, Joe Louis, but he wound up on the wrong end of a controversial decision loss in their first fight. Even Louis, later in life, hinted that he received a gift the night he met Jersey Joe. 15. Floyd Patterson. Another small heavyweight at 5-foot-10 and usually around 180 pounds. His three fight series with Ingamar Johansson will always be a part of heavyweight title lore. This soft spoken, shy, humble role model was a Cus D’Amato creation with fast hands and a leaping, peek-a-boo style. The women loved him. He was their fantasy Teddy Bear. 16. Vitali Klitschko. The older of the two brother champions. He had tremendous power, a strong chin, PhD-intelligence and dedication. Being almost 6-foot-7 didn’t hurt either. A great humanitarian, Vitali retired with his WBC belt to focus on politics of his troubled home country Ukraine and later became mayor of its capitol city, Kiev. 17. Mike Tyson. Why is he so low on the list? He had fast combinations, pulverizing power and was the great intimidator. He netted over 300 million dollars in purses (that he spent) because this anti-hero had record-breaking drawing power. So why isn’t he in the top 15? Iron Mike, another D’Amato creation, was the world’s greatest front runner. Never once did he walk through fire and win. He never came from behind to win. He never rose from the deck to win. Lack of heart? Lack of character? I don’t know. You tell me. 18. Jerry Quarry. Perhaps the best heavyweight to never win a title. 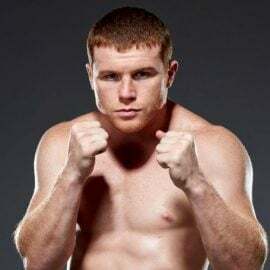 Irish Jerry and his lethal left hook knocked out bigger, stronger fighters he was supposed to lose to. Quarry converted Don King from a manager into a fabled promoter when he knocked out paralyzing puncher Earnie Shavers in the first round of their Madison Square Garden biggy. King managed Shavers. Jerry fought Ali, Frazier, Patterson and many of the stars of the Golden Age. If only he didn’t have that tender, Irish skin… Well, he kept his cut-men very busy. You could have called him the Bellflower Bleeder. 19. Jimmy Ellis. He won the WBA’s eight-man heavyweight tournament created to replace Muhammad Ali when he was deposed for failing to submit to the draft during the Vietnam War. Ellis beat Quarry in the finals after Jerry had him out on his feet and failed to finish the former Ali stablemate. Joe Frazier latter flattened him to become the undisputed champion. 20. Last, and least of the top 20, is Vitali’s kid brother Wladimir Klitschko, who held the IBF title for almost 10 years – and collected the WBO, WBA (and RING) versions along the way – during the leanest crop of heavyweights in modern boxing history before losing the belts to brash Tyson Fury last November. There it is. Lists are made to be argued about. Having worked the fights beginning in 1962 to the present, many of them with the above heavyweights, I have a right to my opinion. The great man, Big George Foreman, is one of my closest friends in life so before you say that number five is a bit high for him let me point out that one of the most respected minds in boxing, Teddy Brenner, matchmaker at Madison Square Garden during their salad days, has Foreman fifth on his all-time list as well. 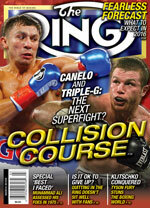 You can subscribe to the print and digital editions of THE RING Magazine by clicking here. On the cover this month: A look ahead to a possible showdown between star middleweights Canelo Alvarez and Gennady Golovkin. You can also order the current issue, which is on newsstands, or back issues on our subscribe page.